Southern Cross offers the opportunity to hear, share and experience the great news of our Saviour, the Lord Jesus Christ. We welcome bookings from both members and non-members, including small groups. We provide husband/wife married couple, family, and shared male & shared female accommodation in 8 guest bedrooms. We have short devotions at breakfast and Bible discussions most evenings. Click here for Southern Cross's Aims & Objectives and for more details on our facilities. Staying at Southern Cross is a unique experience. We are a comfortable, affordable and friendly Christian lodge, right on the snow at Smiggin Holes (part of the Perisher snow resort) in Kosciuszko National Park. During much of the snow season you can ski/board in & out, maximising your time on-snow. Summer & Autumn are also great times to visit the NSW Snowy Mountains for a quiet relaxing time. 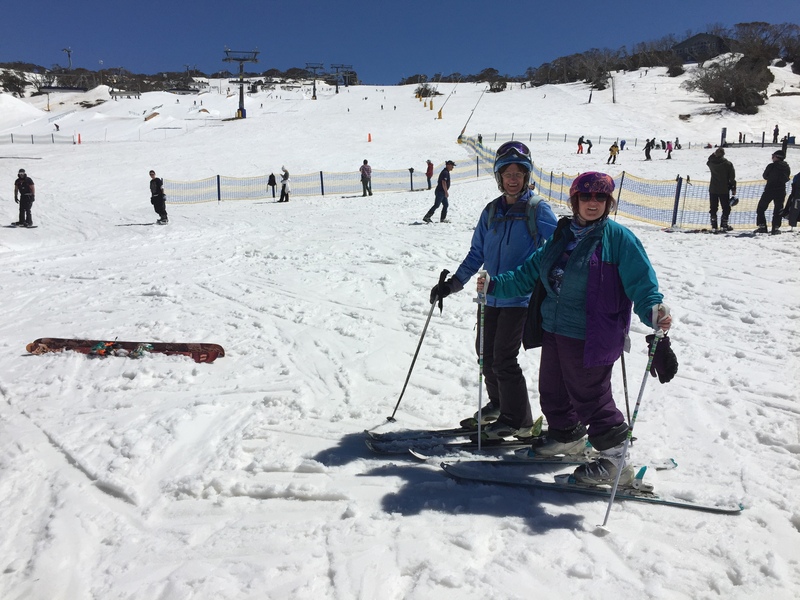 There are lots of walks to do, including to the Kosciuszko summit, bike riding, NPWS school holiday children’s activities, or just relaxing & reading at Southern Cross. Request an autumn small group booking now – we have self-catered availability till the morning of Good Friday 19 April. We are fully catered from Friday 7 June 2019 with room for 2 families the June LWE. The 7-10 June LWE Peak Music Festival is on again with Early Bird $135 adult (or 6 for $675 ie $112.50 each) Peak Festival tickets (children to age 14 free) available for a LIMITED TIME ONLY. You book these Festival tickets separately from your Southern Cross accommodation, ALTHOUGH Brian Gaetjens has just 2 tickets available at $82.50 each. 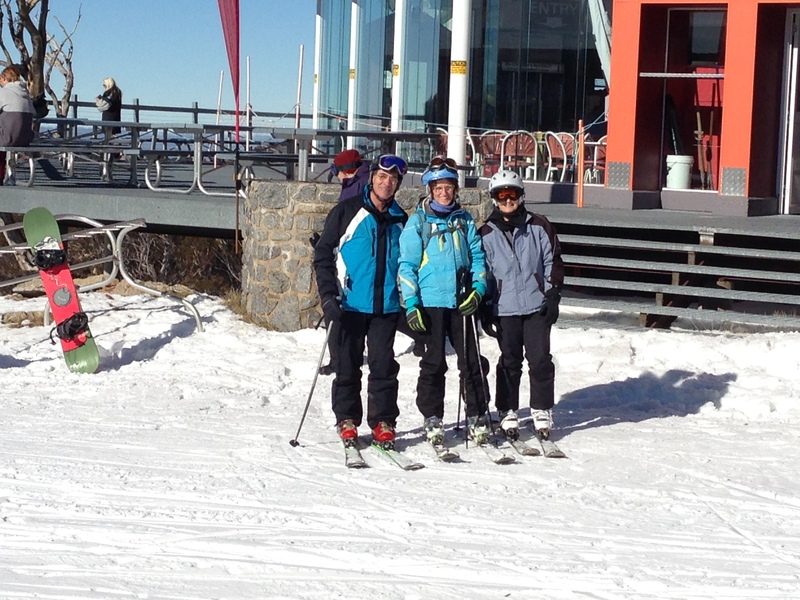 Request your Southern Cross snow season booking now. Requests for whole season being allocated now. And see Perisher Epic Australia 2019 Season Pass NOW ON SALE details. The above Front Valley pictures were taken 07 October 2018. The above Front Valley and Mid-Station pictures were taken 10 June 2015. Sunday 8 October 2017 & Sunday 7 October 2018 respectively, with Southern Cross also extending its catered accommodation. Thank you to ALL our chefs, hosts, members and other guests who help make Southern Cross ministry such a success every year. A BIG thank you to those who assisted at the 27-29 April 2018 and other 2018 working bees. Please keep Saturday 18 May 2019 afternoon / evening from 4.00pm free for our 2019 Annual General Meeting followed by dinner. There will be plenty of time to ask your directors questions, as well as to catch up with other Southern Cross members. Location and further details will be advised soon. 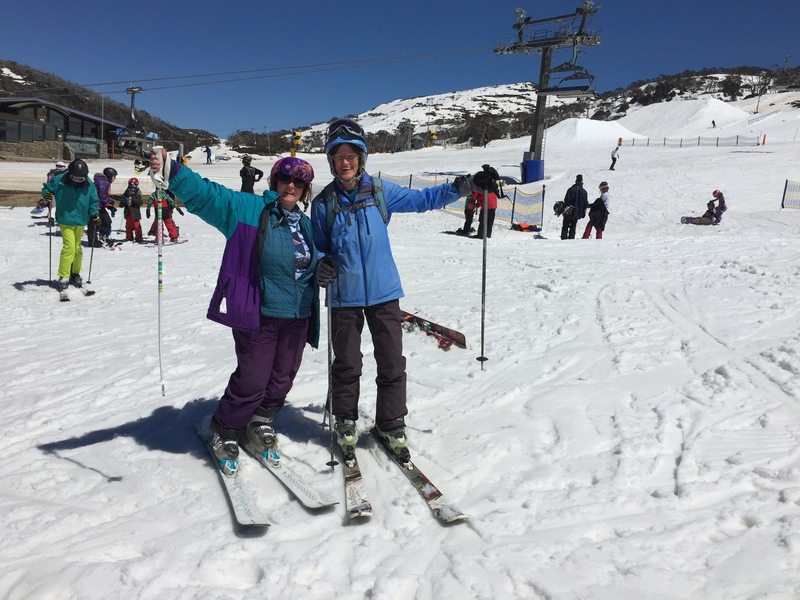 Southern Cross Alpine Lodge members’ 2019 annual membership fee is $150 for existing members, discounted to $95 if paid by 29 March 2019. There is also a husband/wife couple discount – where a married couple are both members, then each of their 2019 membership fees is $75, discounted to $47.50 if paid by 29 March 2019. The first year membership fee for new members is $600 (or $300 each for husband/wife couples). Please contact us if you have any questions about membership fees. For details about membership in Southern Cross Alpine Lodge including our Preferential Booking System (PBS) see www.southerncrossalpinelodge.com.au/membership. 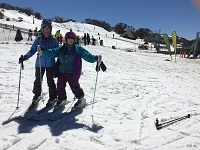 2019 snow season multi-day lift ticket prices, as well as lesson, Ski Tube & other prices, are available at www.perisher.com.au/buy with the largest discounts applying for ON-LINE 7 DAYS’ IN ADVANCE purchases. Carefully compare Ski Tube option prices including add-on if skiing/boarding the same day. An extra half day applies to 3 day or longer tickets, from noon the day before this first full day. Note that adult prices apply from age 15 except that student season pass prices apply to most children still at school. There are also age 65+ passes and see above for age 70+ and under 5. Click here for details of the 2019 Epic Australia Season Pass which covers the Perisher, Falls Creek & Mt Hotham 2019 snow season and various USA/Canadian/Japanese resorts for their 2019/20 season. 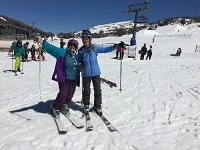 Their cost is just over the cost of one week Perisher lift tickets and generally much less for age 15 to 17 high school students, because season pass student prices generally apply to age 17 whilst at high school whilst adult prices apply from age 15 for day & multi-day passes. Beat the next price increase – current 2019 Epic Australia prices are from $859 adult, $483 school student to age 17 and $644 for age 65+ (ages as at 8 June 2019). Season Ski Tube add-on is $105 adult (including senior) & $59 student. 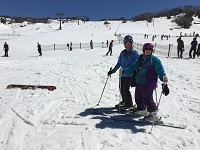 There is also a relatively inexpensive age 70+ Perisher Season Pass which does NOT included any overseas resorts. This 70+ pass is $199 without Ski Tube and $305 with season Ski Tube. There is also a child under 5 season pass (including Ski Tube) for $40 or they can get up to 7 days at a time loaded to a pass FREE. Rhythm Smiggins (formerly Snowline Ski Centre) (across the car park from the Smiggins Hotel) gives Southern Cross guests a 20% discount on over the counter ski/board/clothing rentals, PROVIDED you advise Rhythm staff that you are a Southern Cross guest before they process the transaction. Join the Rhythm Snowsports club for free & receive 10% discount on most retail items. Click here for Notice (including agenda) of Southern Cross Annual General Meeting which was held 26 May 2018 together with our Directors’ Report and 2017 Financial Report. The agenda includes a link to a paper including a Special Resolution which was passed at the meeing updating our Preferential Booking System (PBS) Rules. Those updated PBS Rules are now available at www.southerncrossalpinelodge.com.au/images/uploads/Information_SCAL_PBS_Rules_Document.pdf. Following the this meeting, the Southern Cross directors are Graham Morrison (chairman), Steve Thompson, Brian Gaetjens, Bev Cassin, Ann Collins, Steve Hutchinson and Peter Matthews. Minutes of the 26 May 2018 AGM will be published once adopted by the directors. Click here for full information on membership of Southern Cross Membership and of our Preferential Booking System (PBS). A BIG thank you to all those Southern Cross Alpine Lodge members & guests who responded to our request in late 2012 to complete an online survey about Southern Cross. The survey results are a great help to the lodge directors. Click here for a summary of the results of the survey. Our name has changed but we’re still the same! Many people are familiar with Southern Cross Ski Chalet. In 2011, we changed our name to Southern Cross Alpine Lodge, reflecting our year-round ministry. You'll also notice we have a new logo and website, bringing a fresh look. Everything else has stayed the same!